We left Son Andrew’s house in the late morning to visit my Sister Barbara in southern Maryland. 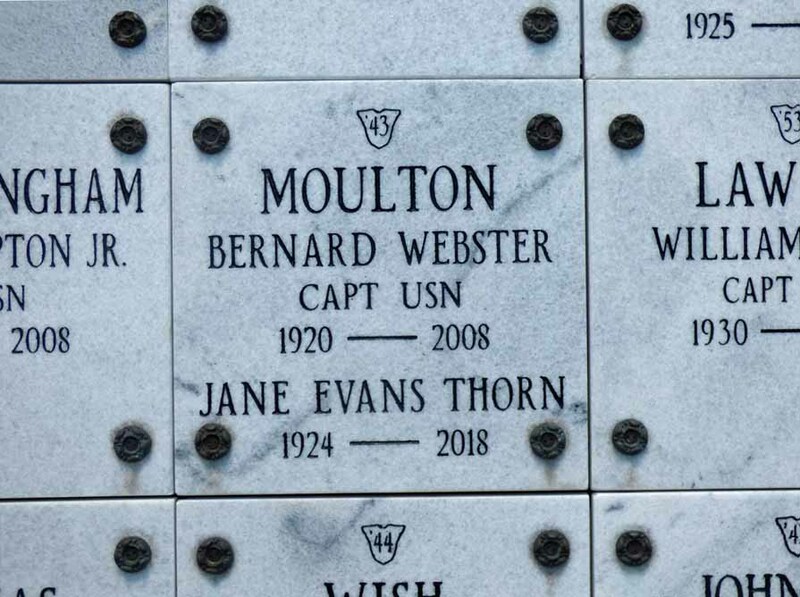 We drove by way of Annapolis, Maryland to visit the niche holding the ashes of Papa and Mother Moulton. Mother died on July 19 at the age of 93. She died on July 19 but they did not hold a service until August 28. Needless to say, we did not get here in time. 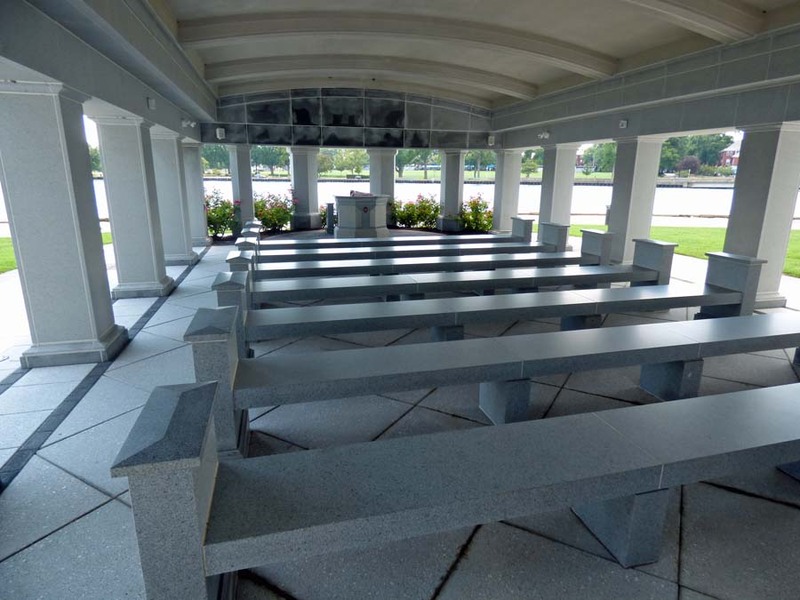 So, we visited the columbarium today and had our own, small, private service. The service was held here. We sat in the front row today and looked out over the water. 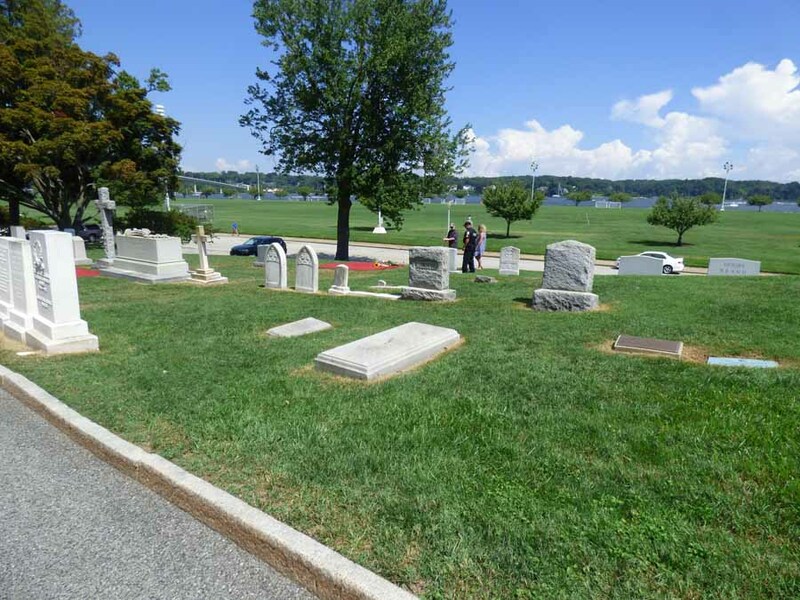 Later, we decided to walk around to the cemetery to see the grave of John McCain. 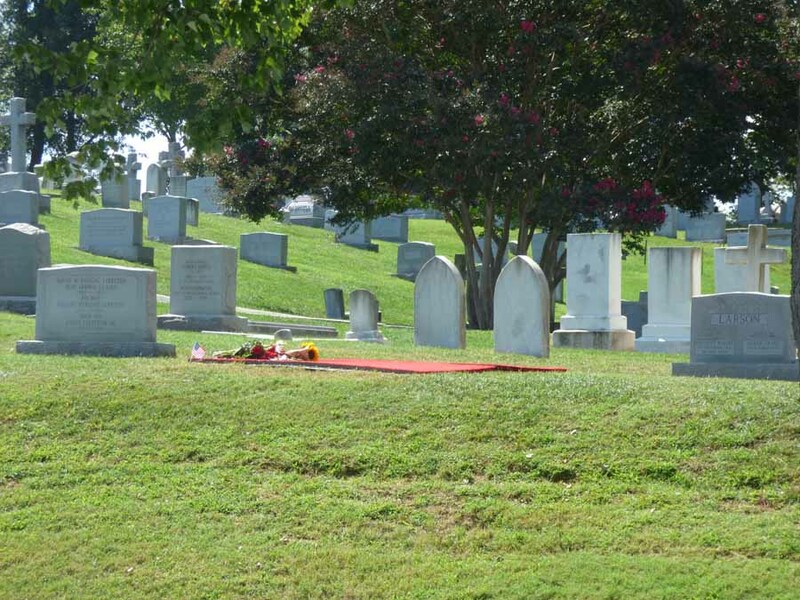 I wanted to see his tombstone as I had read that it would say, “He served his country”. 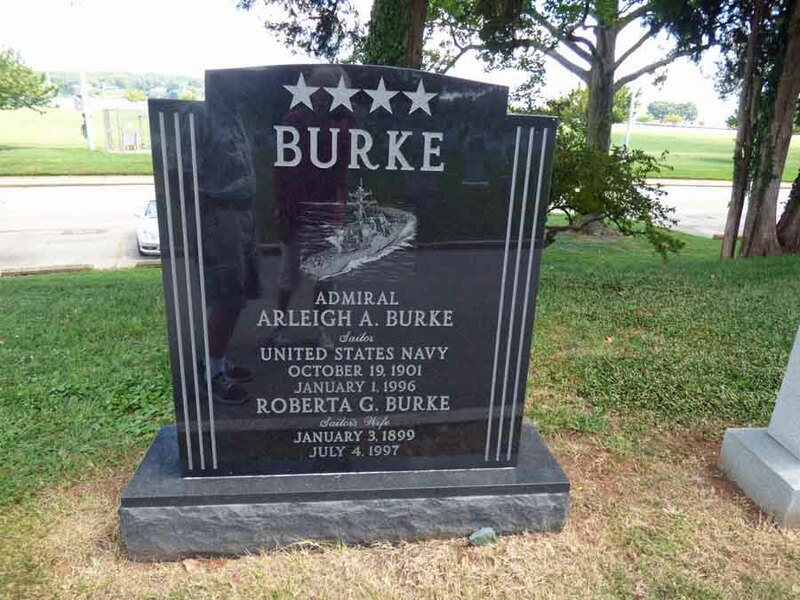 On the way, we saw the tombstone for Arleigh Burke, who served during World War II and the Korean War. The first ship of the Aegis destroyer class was named after him. I worked on the project for a time. 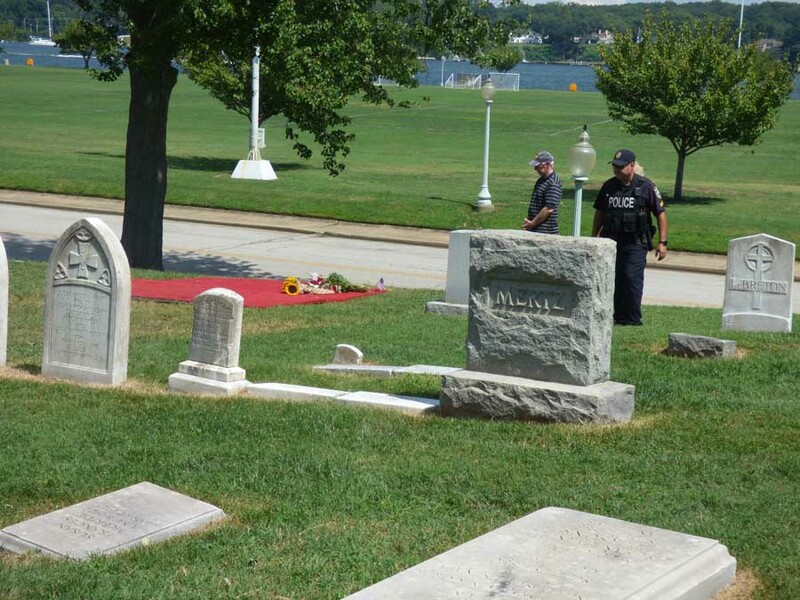 John McCain’s grave does not have its tombstone yet. 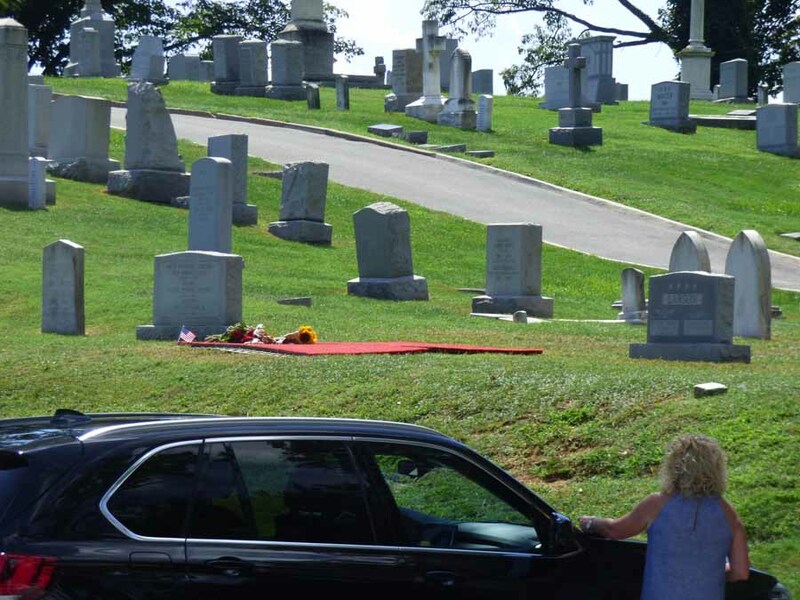 It is marked by a red carpet and a few bouquets of flowers. I wanted Andy to see the view from the top of the hill. It is too bad the dead people can’t see their view. That is the Severn River. 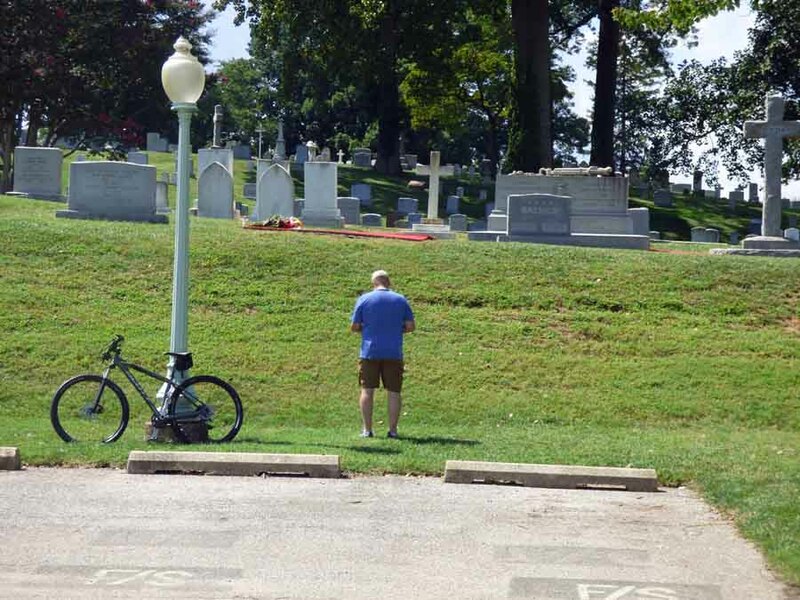 A policeman was keeping people away from the grave; they had to stay on the street below. We walked back by as we headed to Scamp. This man stopped to pay his respects as we walked by. No matter what your politics, I think we may all agree that he was a good man. Then we headed south to Sister Barbara’s house. Brother-in-Law Tom was home (he has recently retired). Barbara arrived an hour or so later, from Ocala, Florida, just about half an hour from our house. i’m confused…So now where in the world are dinata and andy? Thanks Debbie. She was the last of our parent’s generation. Now we are the old folks in the family.